321: Emperor Constantine, unable to subdue the Donatists, gave them grudging tolerance. The Donatists, a North African sect, split from the Catholic Church because they insisted that those who had betrayed Christ and the Scripture could not lightly be readmitted to the Church. Bishops consecrated by former traitors were not in the apostolic succession, they said, and so they set up their own succession. 553: The Council of Constantinople II began. Under Emperor Justinian, who was manipulated by his wife, Theodora, it issued a ruling favorable to the Monophysite heresy (Constantinople image on right; See article on Justinian below). 1525: Frederick the Wise, benefactor of Martin Luther and Reformation, died. 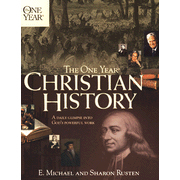 A. Kenneth Curtis and Daniel Graves edited This Day In Christian History. Camp Hill, PA: Christian Publications Inc., 2005. The events above were adapted from the entry for May 5th. Alexander Maclaren, born in Glasgow, Scotland in 1826 was one of the greatest preachers of the nineteenth century. “A man who reads one of Alexander Maclaren’s sermons,” said Sir Robertson Nicoll, “must either take his outline—or take another text.” How did he do it? The answer is simple: Through hard work, disciplined study, and concentration on the one important thing—preaching the Word. He turned down most speaking and social invitations. He stayed home, did his work, and built a great church. To Alexander Maclaren, preparing messages was hard work. He often said he could never prepare sermons while wearing slippers; he always wore his outdoor boots. He was known to devote sixty hours to the preparation of a single sermon. In 1845 Maclaren was sent to preach at a run-down church in Southampton, where the people were so impressed they called him to be their pastor. The Portland Chapel had suffered greatly under an incompetent pastor who had plunged them into debt and given the church a bad reputation. “If the worst comes to the worst,” Maclaren wrote home, “I shall at all events not have to reflect that at the funeral of a withered one.” The work at Portland Chapel prospered. History repeated itself: the church grew and had to move into a new edifice that seated nearly two thousand people. Maclaren had changed his location, but not his disciplines. He refused most invitations, and concentrated on studying the Word and feeding his people. He was not a visiting pastor and he repeatedly challenged the adage that “a home-going pastor makes a church-going people.” He reminded ministerial students that the adage was true only if, when the people came to church, they received something worth coming to hear. Dr. Alexander Maclaren was one of the clearest Bible Expositors of the age. How he became such a Bible scholar is worthy of note. One who in his early ministry was an assistant to the great Baptist preacher, once asked him what had contributed most of all to his success. Dr. Maclaren, after deprecating the idea that he had attained “success,” said that he owed all that was in himself and his ministry to the habit, never broken, of spending one hour a day “alone with the Eternal.” The hour, which he took, was from nine to ten in the morning. His assistant says that he was sometimes allowed to be in the room with the pastor, but no word was allowed. In his well-worn armchair he sat, with his big Bible on his knees, sometimes reading its pages, more frequently his hand over his face. During that hour he did not allow himself to read even the Bible for texts, or as a student. It was read as a child would read a letter from an absent father; as a loving heart would drink in again the message from a loved one far away. Maclaren died on May 5th, 1910. On this day in Christian history, May 5, 553, another council was convoked, this one by Emperor Justinian in Constantinople. Justinian, brilliant and tireless, longed to be religious. He spent many nights in prayer and fasting, and endless days in theological study. He built the fabulous cathedral of Hagia Sophia and spoke longingly of a unified church. But Justinian was also vain, ambitious, ostentatious, and easily influenced. His beautiful wife Theodora, daughter of a bear trainer, was ruthless, and she played him like a marionette. Unable to understand the two natures of Christ, she held the Monophysite view—that Jesus had no human nature but possessed only a divine nature, clothed somehow in human flesh. 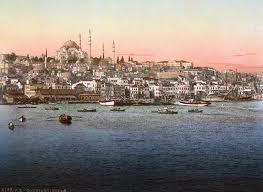 At the Council of Constantinople, Justinian, manipulated by his wife, issued a decree favorable to the Monophysites. Pope Vigilius had refused to attend the council due to fear for his safety and because of the preponderance of Eastern bishops. In Rome he received news of the council’s actions with disdain but eventually accepted its decisions as unimportant. Monophysite views, however, continue to this day in Abyssinia, Syria, and in the Coptic church of Egypt. And Justinian? He eventually became a full-fledged heretic, preaching that the body of Christ, being incorruptible, could not have experienced suffering and death. He died in 565, unrepentant, at age 83, his later years darkened by perpetual disasters. Healthy Christianity demands both a correct theological knowledge of Christ and a personal knowledge of the Savior through faith and obedience. Justinian grappled with the former, never arrived at the latter, and makes us wonder what the Lord thinks of his title in history—Justinian the Great. About the Author: Robert J. Morgan, is the pastor of Donelson Fellowship in Nashville, Tennessee and the author of the best-selling Then Sings My Soul, From This Verse, Red Sea Rules, and On This Day – this article was adapted from the May 5th entry in this excellent book. He conducts Bible conferences, parenting and marriage retreats, and leadership seminars across the country. Charles Wesley and two friends began a small Christian group at Oxford in 1728. John Wesley, who had already graduated from Oxford, returned the following year as a tutor and assumed its leadership. Oxford students made fun of the group, referring to it as the “Holy Club” or “Methodists.” By the time George Whitefield joined the group in 1733, there were eight or nine dedicated members. The focus of the Holy Club was on religious self-discipline. They woke up early for lengthy devotions, took Communion each Sunday, fasted every Wednesday and Friday, and observed Saturday as the Sabbath in preparation for the Lord’s Day. Exhorting each other to live piously and do good works, they were motivated by the belief that they were working for the salvation of their souls. 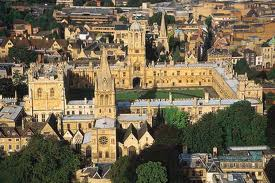 Yet their self-discipline brought them neither happiness nor salvation (Oxford University Campus pictured on left). The lifestyle of the Holy Club had a catastrophic effect on the life of William Morgan, one of the founders. He lost his mind and eventually his life in his struggle to achieve self-disciplined perfection. God showed me that I must be born again, or be damned! I learned that a man may go to church, say his prayers, receive the sacrament, and yet not be a Christian. Shall I burn this book? Shall I throw it down? Or shall I search it? I did search it; and, holding the book in my hand, thus addressed the God of heaven and earth: “Lord, if I am not a Christian, or if I am not a real one, for Jesus Christ’s sake, show me what Christianity is that I may not be damned at last!” God soon showed me in reading a few lines further that “true religion is a union of the soul with God, and Christ formed within us,” a ray of Divine light was instantaneously darted in upon my soul, and from that moment, but not till then, did I know that I must become a new creature. His solution, however, was to try to become a new creature through further extremes of self-denial. During Lent in 1735 he only ate a little coarse bread with tea. By Holy Week he was so weak that he could not study or even walk up a flight of stairs. His grades began to suffer and his tutor wondered if he was going mad. His physician put him in bed, where he remained for seven weeks. God was pleased to remove the heavy load, to enable me to lay hold f his dear Son by a living faith, and by giving me the Spirit of adoption, to seal me, even to the day of everlasting redemption. O! With what joy—joy unspeakable—even joy that was full of and big with glory, was my soul filled when the weight of sin went off and an abiding sense of the love of God broke in upon my disconsolate soul! Surely it was a day to be had in everlasting remembrance. My joys were like a spring tide and overflowed the banks. On May 5, 1735, Whitefield wrote a letter to John Wesley, attempting to share what had happened to him. He wrote, “Into his all gracious arms, I blindly throw myself.” It would be three more years before the Wesley’s found his gracious arms. Have you ever found yourself trying to earn your salvation? Salvation is a gift to be received from God, and there is nothing we can do to earn it. Good works do not lead us to Christ—it is out of our relationship with Christ that good works flow. Author’s of the Article Above: Mike and Sharon Rusten are not only marriage and business partners; they also share a love for history. Mike studied at Princeton (B.A. ), the University of Minnesota (M.A. ), Westminster Theological Seminary (M.Div. ), Trinity Evangelical Divinity School (Th.M. ), and New York University (Ph.D.). Sharon studied at Beaver College, Lake Forest College, and the University of Minnesota (B.A. ), and together with Mike has attended the American Institute of Holy Land Studies (now Jerusalem University College). The Rustens have two grown children and live in Minnetonka, Minnesota. This article was adapted from the May 5th entry in their wonderful book The One Year Book of Christian History, Carol Stream, IL: Tyndale, 2003.